Canada's Source for Kahtoola® Gaiters. NANOspikes® and MICROspikes® traction systems to seal out the elements in one convenient, integrated system. 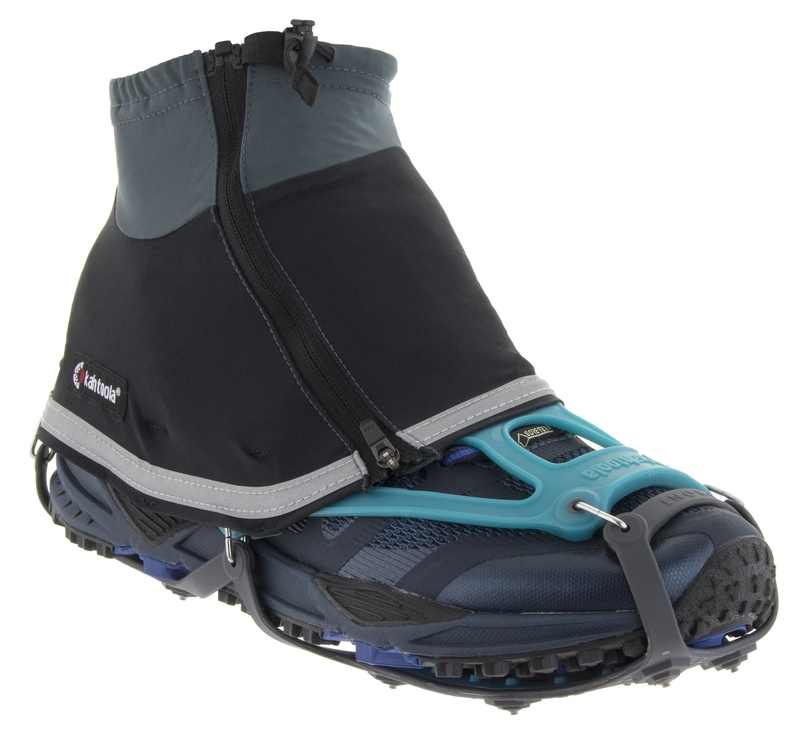 Six low-profile nylon clips attach the CONNECT™ Gaiters to the MICROspikes® and NANOspikes® elastomer harness. The Gaiters can stay attached when Kahtoola traction is packed into the tote sack. Elasticized drawcord ensures that the elements won’t enter the top of footwear. A toggle-lock secures the drawcord. Zipper Closure Provides an easy method of application and removal without taking off footwear or Kahtoola traction. Designed for use with running shoes and low-top trail shoes.